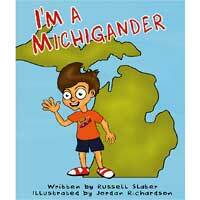 Great for Michiganders of all ages! Published by Peninsulam Publishing in Michigan, U.S.A. In the past, when women made patchwork quilts they did not say they were “sewing” a quilt. Rather, they were “piecing” a quilt. Thus the name of Connie Major’s business – Pieceful Works: Pieceful Art for Peaceful Souls. Connie makes a variety of patchwork baby quilts and authored a children’s book, Around the Alphabet, which has received wonderful reviews. 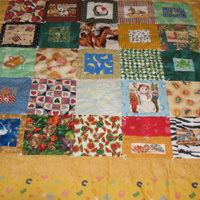 Each patchwork baby quilt is hand made the old fashioned way – one at a time and one of a kind. Each quilt is fun, cozy, educational and practical all at once. 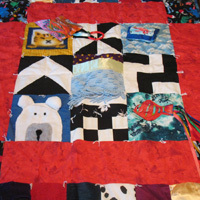 The ABC Patchwork Baby Quilts are made from fabrics showing pictures of things beginning with each letter of the alphabet. The Activity Patchwork Baby Quilt keeps a baby happy and engaged for hours with attached ribbons, velcro, pockets and flaps. No two baby quilts are alike. 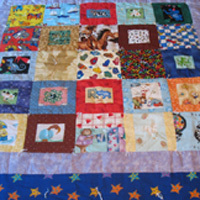 Each patchwork baby quilt measures 34″ x 45″ and are machine washable. The children’s book, Taj Cleans the Garage, intends to help close the 30 million word gap by igniting the imagination and the wonders of words and reading. Taj Cleans the Garage is a beautifully illustrated children’s book for ages 2-7, about a little boy who does a chore that turns into an exciting adventure. In the process he becomes a hero! Educators report that by the time a child is age 4, children from prosperous and more-educated households have heard and read more than 30 million more words than children from a disadvantaged socioeconomic background. So, Detroit author Renee Prewitt wrote the children’s book, “Taj Cleans the Garage” and illustrated by Michaela Nienaber. 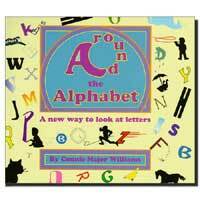 “This is the first in a series of books I’m writing to help close the 30 Million Word Gap by Age 3,” Prewitt says. In addition, she also plans to talk to parent groups about the study and new findings in closing the achievement gap. “Reading to our children is so important,” she says, “but we should also engage them in conversation!” Prewitt hopes that Taj will also encourage more young boys to read.